When you need to weigh really heavy things, the last thing you'll be wanting to do is lift them onto a bench! 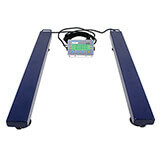 There aren't many weighing scales in this section, but what there is has been specially chosen for its ability to tackle the toughest weighing jobs around and to do them reliably, accurately and with long-lasting durability. 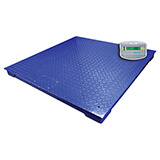 Whether you need a set of low profile pallet beam floor scales that can easily be taken to where you need them, but still take up to 1000kg in weight, or tough steel platform scales with a massive 3000kg capacity, these Adam scales will do the job. These are truly industrial scales but don't cost as much as you might think!